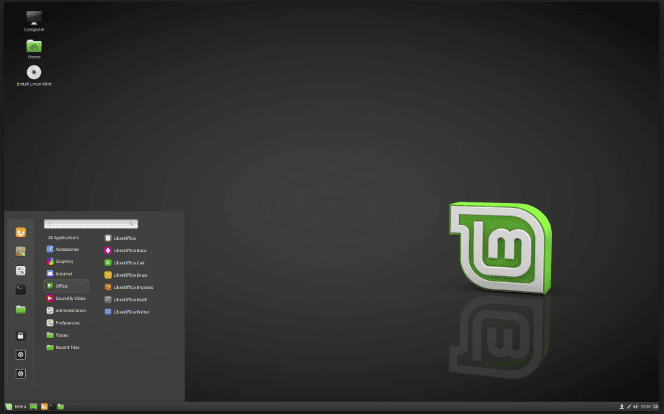 Clement Lefebvre, The man behind Linux Mint, has recently announced that Linux Mint 19.1 aka "Tessa" will be coming out at the end of this year mostly near Christmas (i.e around last week of December). This time around things are happening a bit differently as xfce, cinnnamon and MATE are all releasing at the same time as revealed by Mr Clement, unlike previous occasions where every version had to be released separately. Also this time the upgrade paths is planned to be opened on the same day without the delay which happens usually. This time with Linux Mint 19, they've decided to change the theme from Mint-X to Mint-Y as the default theme. They are also planning to improve the overall contrast of the operating system this time, so thing will appear more clear thanks to this tweek. Also because of this tweek labels and icons will look darker than before, which will help them stand out against the background. We can also expect to see Cinnamon 4.0 this time around and that is expected to change the whole look of the desktop. As a Mint user will know that Mint-Y-Dark has been updated to look even better and it will be the default theme of Cinnamon. Additionally , It is known from the sources that the default windows panel has been updated, while an options to revert to the traditional look will be available. The new panel this time uses a large 40px panel, icons will scale in the left and centre zone but will remain at 24px on the right where the system tray is. This new look comes with grouped windows and a small system tray. Users will be given the option of which look of the desktop they want and they will be able to choose it at their first use during the Welcome app which will appear, the look can be changed later at the Display option. Mr Clem has decided to keep the new look a suspense and did'nt provide any screenshots. He has left to for people to speculate, so it will be really intresting to see how it ends up looking. Hopefully it will be improvement to the previous UI. There are several other changes as well; improved status icons, an Xapp icon chooser, to name a few of them, and this time around support has been added to the update manager for choosing machine kernels.